Garlic has been used in many cultures for both its culinary and medicinal properties. Folklore shows garlic bringing good luck or protects against evil, ward off vampires and at the same time guaranteed to transform any meal into a bold, aromatic and healthy experience. Native to central Asia, garlic is one of the oldest cultivated plants in the world and has been grown for over 5000 years. Garlic was placed in the tomb of Pharaohs, and was given to the slaves that built the Pyramids to enhance their endurance and strength. From a medical history standpoint, the antibacterial and antiviral properties of garlic are perhaps its most legendary feature. Garlic grows as a “bulb,” which averages about 2 inches in height and diameter and consists of numerous small separate cloves. The taste of garlic is like no other—it hits the palate with a hot pungency that is shadowed by a subtle sweetness. Elephant garlic has larger cloves but it is more closely related to the leek and therefore does not offer the full health benefits of regular garlic. 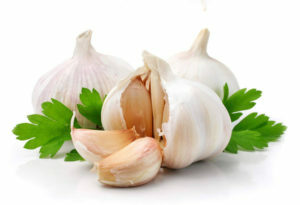 Garlic is an excellent source of manganese, vitamin B6, a very good source of vitamin C, and a good source of selenium. Helping improve your iron metabolism. Garlic’s unique set of sulfur-containing compounds can help protect us against—oxidative stress and inflammation. By blocking the activity of angiotensin II, garlic is able to help prevent unwanted contraction of our blood vessels and unwanted increases in blood pressure. Used for the common cold and flu, and also infection from other microbes including yeasts/fungi and worms. Supplementation can boost the function of the immune system. Garlic oil applied to the skin or nails can treat fungal infections, warts, and corns. For infants with upper respiratory congestion, garlic oil rubbed on the bottom of the feet can help. For ear pain or infection, placing a fresh peeled garlic clove at the outside entrance of the ear can help. Garlic oil placed in the ear often can reduce pain and inflammation. Caution: Garlic-in-oil mixtures stored at room temperature provide perfect conditions for producing botulism, regardless of whether the garlic is fresh or has been roasted. Store fresh garlic in either an uncovered or a loosely covered container in a cool, dark place away from exposure to heat and sunlight. Pre-peeled garlic does not retain the medicinal value of fresh. The minimum effective dose for therapeutic effects is one clove eaten with meals, two or three times a day. However, keep in mind that there are some downsides to garlic, such as bad breath. Garlic can be fatal for pets. Information is intended for educational purposes only. Not intended to cure, diagnose or treat disease. Mullein, or Verbascum thapsus, is native to Europe and Asia but has been well established throughout the United States. Today it grows frequently in disturbed soil, such as abandoned fields, roadsides and railroads. It is easily found along the Pacific Maritime region of Alaska. The leaves are mostly used for tea and tinctures but the flowers and root can also be used. It has been reported since the early 1900’s to help with coughing, lung weakness, respiratory constriction and chest colds. It is quite literally one of the best lung healing herbs out there. One study of over ninety herbs concluded that mullein is in the top three for nutrition value. Calcium and magnesium in abundance along with flavonoids, saponins, tannins, terpenoids, glycosides, carbohydrates, proteins, fats and oils. Mullein contains about 3 percent mucilage, a gelatinous substance that soothes irritated membranes in the body. Mullein’s saponins help the body remove excess mucus from the lungs and soothes the mucus membranes with its emollient properties. Clemson University confirmed the antibacterial properties of mullein. In 2002, these researchers reported that mullein extracts are effective against several species of disease-causing bacteria including Klebsiella pneumoniae, Staphylococcus aureus, Staphylococcus epidermidis and Escherichia coli more commonly known as E. coli. 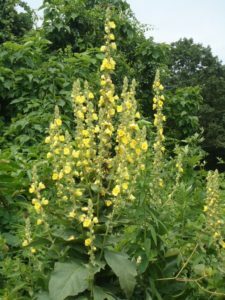 With the slight anesthetic and very strong sedative actions of mullein, it can be used to relieve various types of pains, including menstrual cramps. Mullein oil is a potent disinfectant and found to be effective in treating both internal and external infections. Internally it has been known to treat inflammations and infections in the ears, colon, urinary tract, vaginal yeast infections and kidneys. Skin infections can respond quickly to a mullein poultice when applied externally. It can help calm bursitis by using a cloth soaked in Mullein tea or a poultice placed over the painful joint. Some have reported mullein tea and poultices can help relieve aching joints by adding lubrication to the surrounding tissues. Many will recognize Mullein from the soothing natural remedy oil for ear pain. Many times it is mixed with garlic oil to help kill bacteria. The mullein helps with the pain. People also use mullein oil to naturally treat their dog’s ear infections and other health problems with success. Upper respiratory problems like sore throats, dry coughs, hoarseness, tonsillitis or bronchitis respond well to capsules or drinking the mullein tea. Mullein even helps asthma sufferers with its soothing effect on the bronchioles. Of course severe allergic reactions may require a doctor’s intervention. Mullein leaf has also been reported to be used for hyperthyroidism and to reduce glandular inflammation. Tribes in Pakistan reportedly use the mullein to rid the body of parasites. A cup of mullein tea before going to bed could be a perfect natural solution for a good night’s sleep. Dori Cranmore RN is owner of All About Herbs, Inc. This information is provided for educational purposes only and not intended to treat or cure any disease. Hawthorn is known as the ‘heart herb’ for its many benefits as a heart tonic. Traditional use of hawthorn berries has been confirmed by German studies to strengthen and normalize the heart beat, prevent and reduce heart arrhythmia’s and guard the heart against oxygen deficiency. There is research to suggest that hawthorn might also be effective when used in the treatment of mild-to-moderate heart failure. 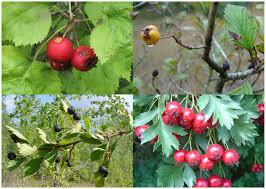 Hawthorn (Crataegus species) has been used to treat heart disease as far back as the 1st century. In the early 1800’s, American doctors were using it to treat circulatory disorders and respiratory illnesses. Hawthorn has been known to strengthen and regulate the heartbeat. In addition, hawthorn has been used as a natural remedy for blood pressure regulation because not only can it help lower blood pressure by decreasing heart output and enlarging blood vessels, but it can raise low pressure in cases of a weakened heart muscle. It’s good in the treatment of damaged heart muscle in old age, with inflammation of the heart muscle, has a beneficial effect in the treatment of obstructive blood vessels and is a good natural remedy for angina pectoris. In other words, Hawthorn has a beneficial effect on all heart disease. Hawthorn also has a positive effect on calming the nervous system. Studies note that it may take 6-12 weeks before improvement is noticed. Hawthorn berries owe much of their beneficial action to high bioflavonoid content, mostly rutin and quercitin. These dilate and relax arteries and can enhance blood circulation to the heart muscles and reduce symptoms of angina. These bioflavonoids are also powerful antioxidants which can help strengthen blood vessel walls and decrease and prevent oxidative damage. Antioxidants are substances that destroy free radicals, which are compounds in the body that damage cell membranes, tamper with DNA and even cause cell death. Scientists believe free radicals contribute to the aging process (such as wrinkling), as well as the development of a number of health problems, including cancer and heart disease. Antioxidants in hawthorn may help stop some of the damage from free radicals. Heart disease is very serious and you should never try to self treat with hawthorn. Ask your health care practitioner if hawthorn is right for you. Side effects of Hawthorn are very rare, but can include headache, nausea, and palpitations (a feeling of a racing heart). Peppermint has often been termed the world’s oldest medicine. It is native to Europe and is actually a cross between spearmint and water mint. 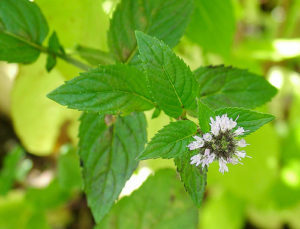 Its botanical name is mentha piperita. Peppermint has been studied and proved by the scientific community to have numerous health benefits. As a result, peppermint is sold in many different forms of tablets, tinctures, capsules, essential oils and teas. Indigestion: Peppermint oil is very helpful for digestion. Peppermint can help relieve gas, nausea and stomach pain due to an irritable bowel, intestinal cramps or indigestion. It is a good tonic for those who have decreased appetites. It helps during motion sickness and it’s great for nausea during pregnancy. Peppermint tea is safe for infants to drink with colic or place a cloth soaked in peppermint tea over the infant’s belly. Dental Care: Peppermint oil, due to its antiseptic properties, is useful for dental care. It helps remove bad breath and helps teeth and gums deal with germs. No wonder it is added to many toothpastes, mouthwashes and dental floss. It is also useful for treating toothaches along with clove oil. Respiratory Problems: Menthol, which is present in abundance in peppermint oil, helps in clearing the respiratory tract. It is an effective expectorant and therefore provides instantaneous, though temporary, relief in numerous respiratory problems including nasal congestion, sinusitis, asthma, bronchitis, colds and cough. Nausea and Headache: Peppermint oil is a good home remedy for nausea and headaches. Applying diluted pure essential oil on the forehead, temples, behind the ears and inhaling can help minimize or stop a headache. A drop on the tongue can help relieve nausea. Pain relief: Peppermint oil (diluted) can be used externally for providing relief from painful muscles and joints. It is cooling in nature and therefore helps reduce fever. Blood Circulation: It is known to improve blood circulation. Many truck drivers keep it handy to inhale as it helps keep you more alert if you are drowsy. Hair Care: Peppermint oil is very useful for hair care as it gives a cooling effect to the head and removes dandruff. It is one of the natural remedies for killing head lice. It must be diluted. You will find very few people who will not find peppermint suitable to their palate. Peppermint oil contains numerous minerals and nutrients including manganese, iron, magnesium, calcium, folate, potassium and copper. It also contains omega-3 fatty acids, vitamin A and vitamin C.
And no, you can’t eat peppermint candy canes and receive all these wonderful nutrients! This information is provided for educational purposes and not intended to diagnose, cure or treat any disease. HIBISCUS…NOT JUST A PRETTY FLOWER! Did you know that hibiscus herbal tea is not only delicious, but also a very healthy beverage? Pretty much any herb can be used to make tea, but one of the prettiest is that of Hibiscus. It is served hot or cold and contains no caffeine. This healthful hibiscus tea has several characteristics that make it much more valuable than conventional teas. All over the world people drink hibiscus tea for health; (hibiscus tea can help lower blood pressure, cholesterol and blood sugar) for cooling; (hibiscus tea is a refrigerant and helps cool the body when needed). Other benefits include preventing bladder infections and constipation if taken regularly. Unquestionably, brewed hibiscus is a stunning refresher, bold, tart and beautiful. Unlike tea, however, it is not made from leaves, of the flowers. The tall, slender hibiscus plant produces tiny pink flowers, which wither quickly and fall off, leaving seedpods behind. Big, fleshy red calyxes grow around the pods, and it is these juicy calyxes that are harvested and dried in the sun to become the blackish-red bits used in teas. The species Hibiscus Sabdariffa, is also known as Red Tea, China Rose, Red Sorrell, Roselle, Jamaica Tea, and Sudanese Tea. It was used by the Chinese to treat dandruff, hair breakage and help stimulate hair growth. Making a tea and using it as a rinse for the hair works well. Drinking a cup of hibiscus tea after meals can reduce the absorption of dietary carbohydrates and assist in weight loss. Newer studies are indicating drinking 3 cups of hibiscus tea may help keep blood sugar in a normal range. 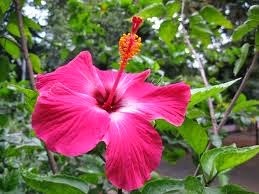 Hibiscus is rich in Vitamin C so it is a great immune booster to aid in fighting off viruses. Hibiscus juice, with salt, pepper, and molasses, can be taken as a remedy for nausea. Because of its muscle relaxing abilities it is not recommended for pregnant women. Children can benefit by drinking hibiscus tea and they love it for the bright red color and tangy flavor. Add ¼ cup Agave syrup or honey to taste. Bring water to a boil and remove from heat. Place ingredients in the water and cover to steep for 10 minutes (longer is not better). Strain and serve over ice. This will surely be a hit at any gathering. It looks like butter; it’s made with butter; it smells like butter; so how healthy can ghee really be? One of the healthiest of saturated fats, ghee offers many potential health benefits. 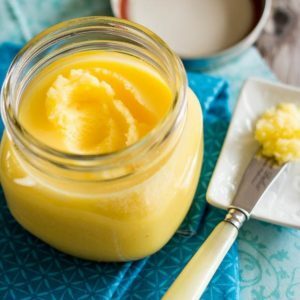 Ghee is a Hindi word and this golden substance has actually been an important ingredient in fine European cuisine for centuries. Ancient Ayurvedic medicine has mentioned the health benefits of ghee in Indian culture for thousands of years. So what is ghee? It’s nothing more than the pure butterfat extracted from milk. Butter has a high percentage of butterfat, but includes some additional water and impurities, whereas ghee is pure, 100% unadulterated butterfat. It’s often referred to as clarified butter. If you’ve ever melted butter, you’ve seen it separate into a clear, golden oil with whitish milk solids. Some of these solids foam and rise to the top, while others settle to the bottom. The clear golden oil that separates from the solids is ghee. It’s far more stable and less perishable than dairy butter. It doesn’t require refrigeration and can last many years. Ghee has a high smoke point (250 °C 482 °F). You can cook and fry with ghee and it will not break down into free radicals like many other oils. Ghee is rich in butyric acid which is great for healing the gut. Research shows that adequate production of butyric acid supports the production of killer T cells in the gut, and thus a strong immune system. Ghee is also rich in the oil soluble vitamins A, E, K2 and CLA (Conjugated Linoleic Acid) – an antioxidant with anti-viral properties if it is sourced from grass fed cows. Much like Coconut oil, ghee is rich in medium chain fatty acids which are absorbed directly to the liver (like carbs) and burned as energy. Athletes can use ghee as a consistent energy source. The energy from these medium chain fatty acids can be used to burn other fats in the system and lose weight. Ghee nourishes the brain, helps inflammation and feeds our immune system. Ayurvedic physicians have used oral butyrate supplements and butyrate enemas to treat inflammatory bowel diseases such as Crohn’s and ulcerative colitis for centuries. Ghee is made from butter but the milk solids and impurities have been removed so most people who are lactose or casein intolerant have no issue with ghee. Omega 3, Omega 6, Omega 7, Omega 9, EFA’s, EPA’s, DHA’s, Good fats, Bad fats….can be confusing and what does it all mean to our overall health? Omega 3 is the single most important essential nutrient that is almost entirely missing from our modern day diets. Evidence from thousands of clinical studies show Omega 3 can improve health and help prevent inflammation and dis-ease — including lowering triglycerides, general heart benefits, improving brain function, as well as helping with diabetes, strokes, depression, arthritis, allergies, circulation problems, ADHD, autism, Alzheimer’s, skin disorders, gout, and many others. Fish oil is great for dogs – and cats! Adding fish oil to their food provides anti-inflammatory effects. There are three main types of Omega 3. EPA (eicosapentaenoic acid) and DHA (docosahexanoic acid) are both found in cold water fish (salmon, tuna, mackerel, krill, etc). The plant foods that contain these are seaweed, algae and chia seeds. The third is ALA (alpha-linolenic acid) which is found in flaxseed oil, dark green leafy vegetables and some vegetable oils. Studies on 100% salmon oil say the body utilizes it more efficiently than other fish sources. Now don’t confuse Cod Liver Oil with Fish oil. 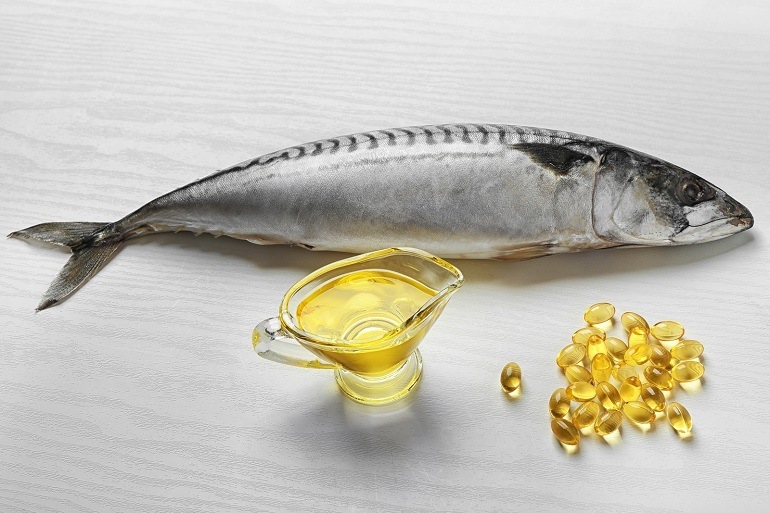 Cod liver oil comes from the liver, whereas fish oil comes from the body of the fish. Cod liver oil is very high in Vitamin A – Take the recommended amount since it is very easy to overdose on Vitamin A (with possible negative implications for your bones). The only way to get omega 3 without the 6 and 9 is by taking fish oil. Recommended for health maintenance is 3000mg daily, (1000mg for children). A large 4oz salmon steak (baked properly with the skin on and eating the gray next to the skin) delivers about 84mg of omega 3. Sources of Omega 6 include seeds, nuts, and refined vegetable oils, such as soy that is used in most snack foods, crackers, cookies and sweets. Soybean oil alone is so prevalent in processed and fast foods that 20% of the calories in the American diet are likely to come from this one source. Omega 7 or Palmitoleic Acid can help reduce risk of type II diabetes, lower C-reactive protein and reduce the risk of heart disease. It’s found in macadamia nuts, and sea buckthorn. Purity and potency mean everything when choosing Omega 3 oils. Make sure your brand has gone through molecular distillation. 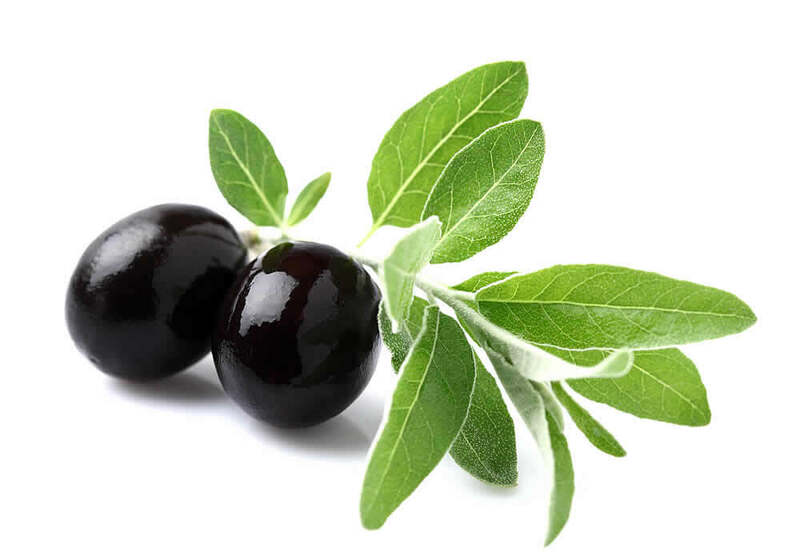 Omega 9 is a monounsaturated fat known as oleic acid and found primarily in olive oil, emu oil and almonds. Omega-9 is a nonessential fatty acid, since it is produced naturally by the body when omega 3 and 6 are present. Omega 3 by itself is vitally important to help decrease inflammation, which is the cause of all dis-ease in our bodies. Dori Cranmore is a Registered Nurse and owner of All About Herbs Wellness Center in Wasilla. This information is intended for educational purposes only and not meant to diagnose, treat or cure any disease. 376-8327.
safety and proven effectiveness. So what about the legality of using it? It is now legal in all 50 states as long as it contains no thc! Every human and animal has Cannabidiol receptors, meaning the body utilizes the cbd in different ways. Kind of like a metabolism. Dogs generally get great results by using about 1mg per 10 lbs of body weight. Humans can react with as little as 1mg and can take more as they need it. 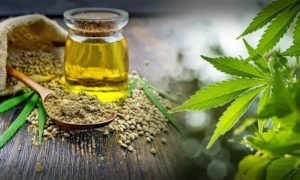 You can find cbd oils and balms pretty much everywhere you look now, but like any other supplement there are poor quality products, so – so quality products and really great quality products. Everyone wants you to buy theirs. Some say only buy USA grown products. There is so much to know about this. Is it grown in hot houses or in its natural habitat? Is it pressed or CO2 extracted? (CO2 is the superior method so the cells aren’t disturbed). So much to choose from. Oils, balms, lotions, capsules, etc. I love the gels that can pack a whopping 15mg or more cbd in each tiny capsule. What I’ve noticed as the best overall delivery method is the emu oil based oils and balms. Here’s what I know about Emu oil. It’s a natural pain reliever and anti-inflammatory. Emu oil has been used for thousands of years for treating wounds, burns and pain because it is naturally anti-fungal and antimicrobial. Emu oil can penetrate 7-8 layers of the skin vs coconut and olive oil that can penetrate only 1-2 layers. Emu oil contains EFA (essential fatty acids) which also maximizes the bio-availability of ingested CBD. When this happens the homeostasis (balance) attempts to return to the body giving longer lasting relief. (Aponi Biobotanica holds the only patent on the emu oil delivery with cbd oil). So the way I see it you get more bang for your buck! We are constantly doing research so please ask us at All About Herbs, Inc and we will do our best to help with any questions. This information is intended for educational purposes only.It is not meant to diagnose, treat or cure any disease. Turmeric comes from the ginger family and has a peppery, warm but slightly bitter flavor. It smells like a cross between ginger and oranges. It’s known as one of the ingredients to make curry but it is also used as a natural colorant in many foods like mustard. You might have heard it referred to as curcumin. The yellow-orange pigment in turmeric is what is referred to as curcumin. It is often used to color natural soap. Turmeric comes from the root of the Curcuma longa plant. It is an excellent source of iron, manganese, vitamin B6, dietary fiber and potassium. It is native to Indonesia and southern India where it has been harvested for over 5,000 years. Adding it to your food gives an extra zest of flavor and also a bold yellow color. So let’s talk about some of the health benefits from this wonderful root. It has been found to be a very effective treatment for Inflammatory Bowel Disease. It is generally inexpensive, well tolerated with very large does and a very effective treatment also for Crohn’s and ulcerative colitis. Rheumatoid Arthritis is also found to respond extremely well. Turmeric’s combination of antioxidant and anti-inflammatory effects explains why many people with joint disease find relief. Cancer prevention tops the list of researches. Curcumin’s antioxidant actions enable it to protect cells from free radicals that can damage cellular DNA. Curcumin helps the body destroy mutated cancer cells so they can’t spread. Turmeric enhances liver function and protects against cancer development. It inhibits the synthesis of a certain protein thought to be instrumental in tumor. Studies have linked the frequent use of turmeric to lower rates of breast, prostate, lung and colon cancer. The dose is about 3000mg of Turmeric daily for optimum results. 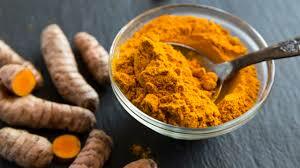 Caution: Turmeric can interfere with chemotherapy treatments. Cholesterol lowering effects and cardiovascular protection has been proven through research published in the Indian Journal of Physiology and Pharmacology. The Turmeric helps the body to clear out more of the LDL (bad) cholesterol. More studies are coming in suggesting Turmeric will help protect against Alzheimer’s disease and Multiple Sclerosis. Because Curcumin crosses the blood-brain barrier it gets in there and helps eliminate oxidative stress and inflammation which can cause brain dysfunction. UCLA researchers did studies showing the Turmeric was more effective than ibuprofen and naproxen. It is a natural antiseptic and antibacterial agent and can be used to disinfect cuts. It is a natural pain killer and cox-2 inhibitor. It may aid in fat metabolism and help in weight management when taken consistently. It has been used in Chinese medicine as a treatment for depression. It is known to speed up wound healing as it assists in remodeling of damaged skin. It may also help in the treatment of psoriasis and other inflammatory skin conditions. Turmeric or Curcumin comes in 250-500mg capsules, with or without black pepper (to increase bio availability in the body), in the powder form, Gummies or tea bags. People with blocked bile ducts or gall stones should not take turmeric. Consult your doctor if you are pregnant. diseases. Please consult your medical provider for advice.